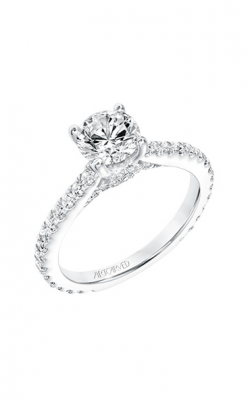 Shop ArtCarved Bridal Jewelry at Lewis Jewelers! Founded in 1850 by J.R. Wood and his sons in Brooklyn, NY, ArtCarved has maintained its designation as one of the most luxurious designers for bridal jewelry, including men's and women's wedding bands and stunning engagement rings. ArtCarved is notable for being the only jewelry company to be allowed to continue making wedding bands during wartime and for the intricate, lovely designs on their bands, whose gentle formations are reminiscent of their very name "carved." The complex embellishments iconic to ArtCarved have come to recognized internationally and are greatly desired among brides-to-be everywhere. Shopping for authentic ArtCarved bridal jewelry is made conveniently easy at Lewis Jewelers with their astonishingly large assortment of bridal jewelry from ArtCarved. Their knowledgeable and friendly staff can assist guests to find their ideal dream ring from among the many collections available to their Ann Arbor friends and neighbors. For keen young couples, Lewis Jewelers carries three wonderful collections from ArtCarved's engagement ring designs. First, for the traditional bride, shop from ArtCarved's Classic and Vintage collections. If modern is more your style, ArtCarved also creates a stunning line of stylish pieces in their Contemporary line. 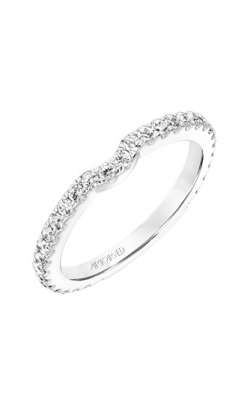 Plus, ArtCarved presents a special line of wedding bands for both men and women. In women's, the artisans have created beautiful, standout selections in Classic, Contemporary, and Vintage. Equally as alluring, ArtCarved has designed several handsome wedding band collections for men including Engraved, Diamond, Classic, Contemporary, and Vintage. Why Buy at Lewis Jewelers? Since 1921, Lewis Jewelers has been the greater Ann Arbor area's go to full-service jewelry store. Committed to excellence, Lewis Jewelers offers its customers an array of premium quality engagement rings, wedding bands, diamonds, and fine jewelry including necklaces, bracelets, earrings, and fashion rings from such sought-after names as Forevermark, Hearts on Fire, Michael M, Simon G, and Triton among a multitude of others. Lewis Jewelers is one of the most dependable locations for jewelry needs in the Detroit, Jackson, Northville, Canton, Plymouth, Livingston County and surrounding areas. In addition, Lewis Jewelers has the distinction of being the only Platinum Tacori Dealer in mid-Michigan and proudly showcases their large selection of genuine Tacori at the heart of their gallery.